Turn television series was officially renewed for a second 10-episode season! The premiere air date on AMC in 2015 is known! We are waiting for start! Charlie Collier, the President of AMC television channel, officially announced about the further development of the «Turn» television series. According to him, the show of the executive producers Craig Silverstein and Barry Josephson is worth being broadcast the next year, that’s why the show has been renewed for the second season. At the moment 10 new episodes have been financed, the first of which should premiere on April 13, 2015. The experts criticized such a decision, as the television series had started with 2,1 million viewers and ended with 1,6 million. Should the show be renewed or the creators have been wrong? How about TURN season 5 release date? Definitely worth a second season, but Simcoe should be removed from the show! I wonder how he’s gonna die!!! can’t wait for that one! Apparently Simcoe was a real person, and he survived the Revolution!!! I love Simcoe. He’s so evil. Such a fascinating psychopath! So glad it’s been renewed. Thanks AMC! TURN was one of the best new shows to air this year, just had a bad time slot. I missed the inaccuracies because I don’t know much about American history,so for me it’s just a period spy drama. I feel that the show is a nice way to show people how the American Revolution truly was. Although there has been some inaccuracies, I feel that the show, overall, is a good way to allow people to see what it truly took for this nation to be free. Everybody should watch this show just downloaded the entire first season cause sadly I work sunday nights and I couldn’t have been more satisfied with this show! I’m happy to see another season. More marketing!!! Turn is a invigorating television show to watch. The problem is the time the show airs and the day. Majority of people who watch it is off of their console system or laptop off of xfinity which doesn’t show up on statistics because it’s not being watched that set time and day. I for one watch it off my Xbox console. So pleased to hear “Turn” will be back for another season. This is the kind of thing I love and that we could use more of on TV today. Turn is an awesome show. So looking forward to season2. i’m a history buff and anything about our history interest me…..I love turn and hope they do a 3rd season. LOVE this show! So well done on all levels. Love the show!! Love the way the actor( amazing actor) played the character of Simcoe..so easy to hate!! maybe they need to expand the marketing. 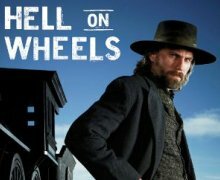 I was not aware of the show until I started watching Hell on Wheels..and I loved it more than Hell..if marketing was better more people would watch it..Love the script. Just don’t do a FOX..start out with a great story, script, show ann then interfere and screw it up..examples? tons..House is one..almost any show that Fox does/did!! TURN is a wonderful show. It intensified in the first season until we had to watch and watch and watch. I am sorry for the people who dropped out. I have bought the DVD and am now watching with my housemates. I didn’t notice the bad time because the first time I watched with other family members, we streamed it from somewhere (sorry can’t remember). Get us through the revolution at least. LOVE love Turn!!!! So excited about season 2!!! Needs more action, thrills and unexpected situations. March friends and I enjoyed this, I hope it brought in enough money to add more Expensive Scenes for more and bigger battles. maybe add more well known actors to the cast. read Washington’s Spys and find out about Simcoe ending up north! Read the history books, Simcoe was not the nut ball the AMERICAN writers of Turn are making him out to be. I guess every TV show has to have a bad guy. I love the history of our founding! These men and women were simply amazing human beings. To pull off what they did was nothing short of a miracle. Something that is hinted at, but should be given a much bigger part of the overall plot moving forward would be for the writers to explain and bear out Washington’s “moral high ground” argument. Washington’s policy was to court martial or even execute his own soldiers if they mistreated captured enemy soldiers or any towns people. He and many of the other founders truly believed in the idea that they had to be morally superior to the British if they were to have a chance at actually winning. This philosophy goes back to what they believed was “Divine Prividence”. Something else that you can pick up on, although not outright evident if you are unaware of this fact (far too many Americans don’t know this), is that the British Loyalists or Torrey’s vastly outnumbered the patriots. Throughout the entirety of the Revolution there was only 3%-5% of ALL colonists that had any part (not just fighting, this includes doing anything blacksmith, cook etc…) in supporting the Revolution. That fact (to me) is pretty darn amazing! This proves that even a very small minority with deeply held convictions can do just about anything. Washington’s knew this and knew they had no margin for error. Knowing this fact goes a long way to understanding why he knew his Continental Army had to be morally superior. They had a many,many more hearts and minds to win than the British. This also proves out that even an extreme minority given the right cause with the right leadership combined with deeply held convictions can move mountains. Remember this the next time you tell yourself, “what can I do, I am just one person”. This is a great series and for the first time I understand how important and who the British Major John Andres was. They say he was so honorable that the American soldiers cried when he was executed. This was such an honorable person that when he was a prisoner during the French and Indian War he was allowed to stay free in the town he was captured because he promised the French that he would not to leave. This series will be renewed again. Excellent show well worth another season. I LOVE this show! Complex plot line, terrific characters…I love to Google things to see which parts of the storyline are historically accurate. Great show. TV needs more shows like this one. I’m tired of “Reality ” shows, false “News” shows! The best TV show I’ve seen in a long time. AMC better now leave us hanging and they need to do a better job of getting the word out. Thanks to Netflix or I would have been unaware. I missed the entire first season, and caught up with it on nexflix…the second season was so well acted and scripted compared with other “period” dramas now on. I especially like the way General Washington has been portrayed and think Ian Kahn who plays him is superb. Scottish Angus MacFadden is also a treat to watch, you never know where he’ll turn up! The entire cast, location, accents and costumes make this a winner all around. Got me to look up some history and couldn’t believe that General Arnold and the beautiful “Peggy” marry and have more children…or maybe that wasn’t a surprise to some! Very sad for handsome Major Andre. I look forward to season 3, and hope many more will discover this excellent show! I love the series, l love American history! My family fought in the revolutionary war they were here to help make this a nation. I think the show is very well done to keep our interest and also teach us the history. Watching this lets me live some of how it must to have been. 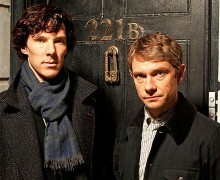 Please continue the series I will be there to watch. I have told others about the series those that love history. Love this show and have recommended it to others. Please continue the series, but it will be great if we get advertising every time the new series starts, and its new time and channel, if it has changed.